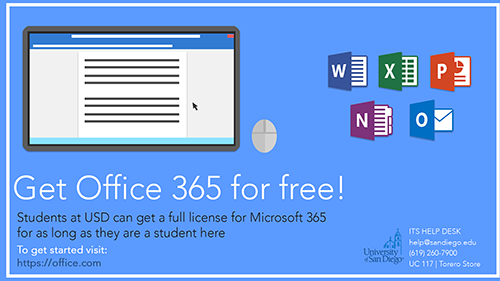 ITS is excited to announce that all active faculty, staff and students at the University of San Diego are eligible to download and install the complete Microsoft Office 365 Education suite on a personally owned computer for free! Open any of the newly installed Office 365 applications and make sure it activates correctly. You may be asked to re-enter your USDOne account information upon opening the applications (Word, Excel, Power Point). If you encounter any issues activating your software, please contact the ITS Help Desk at help@sandiego.edu , x7900, or visit us in person in University Center 117. 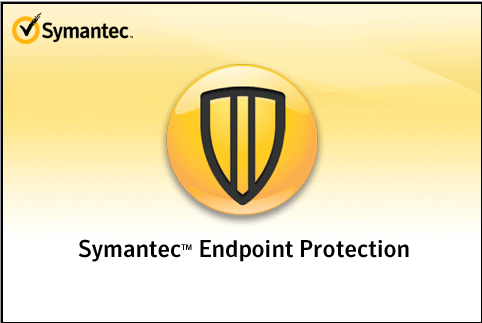 The University of San Diego provides students a free copy of Symantec Endpoint Protection for both Mac and PC, which you can download at our Antivirus Download Page. **Microsoft 10 Users** - Microsoft has included an antivirus and malware software "Windows Defender" on every Windows 10 operating system and Symantec Endpoint is not necessary. The ITS Help Desk can assist students with the installation of these programs and any required un-installation of previous programs unwanted by the user. If you're bringing your own antivirus program to campus, check our list of supported antivirus programs and make sure it's supported before you arrive! Please note that having multiple antivirus programs will cause problems accessing the wireless on campus. It is advised that every computer have only one antivirus program. In some cases, firewalls that come intergrated with antivirus programs may cause issues connecting to our eduroam wifi. 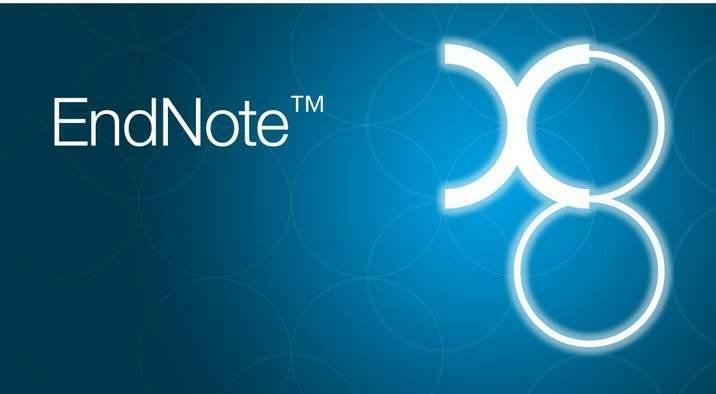 Endnote 8 for both Mac and PC is available free of charge for all active USD students. To download your preferred version please go to the USD downloads page. Please use your USDone account to access the page. If you encounter any issues with the download or need asssitance with the installation process, please email us at help@sandiego.edu or visit us in University Center 117.